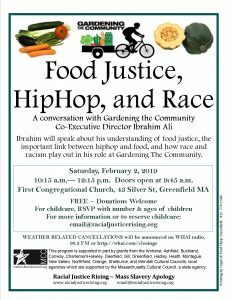 racism play out in his role at Gardening The Community. DID YOU MISS JUST ANOTHER MILE IN DECEMBER? Greenfield Community College is hosting a showing on February 4th. RJR’s January program featured information and resources about the movement for reparations for slavery. Click here to learn more. 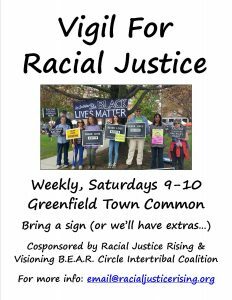 April 6-7, Northampton MA: Showing Up Whole in Racial Justice Work – free!